The theme of this collage was the events and experiences of my first 28 years so how could I not include a photo which related to the Independence of Papua New Guinea. Regular readers will have read other posts on this topic here so for this story I needed a different angle. It occurred to me that while I’ve talked about the celebratory events, I haven’t actually talked about what it meant on a day to day level. As with any celebration, there was a certain amount of waiting around on 15 Sept 1975. The high school kids were in colourful costumes and some were wearing traditional dress. I asked Mr Cassmob for his thoughts on this last night and to an extent we were surprised at how little practical difference it made to our lives: we went to the same workplaces, we got our pay in the same bank account (even though the bank’s name had been rebadged), we did the same social things and lived in the same government house. For sure the structures and legislation underpinning all of this had changed, and there were more brown faces than white at the top level, but that didn’t bother us as it had been an emerging trend throughout out our then-short careers. We were neither senior enough to be displaced from our positions, nor were in positions which gave us any real power. We just kept on doing our jobs to the best of our ability. Prince Charles arrives for the flag lowering ceremony. There were some changes to consider at work: the need to consider the implications of a changed currency, from the dollar to the kina or vice versa, on the payment of school subsidies (Pauleen), or the practicalities of helping to establish the diplomatic training corps program at the Administrative College (Peter). The Australian flag was lowered formally for the last time “with respect”. After I moved from Education to Finance I suppose I was involved in minor administrative ways with the new bank Board structures as well as some organisation for visiting delegations from the International Monetary Fund which came to assess PNG’s financial status. We worked with local colleagues who were developing their skills and experience preparing for more senior roles within the public service over the years to come. Working in Finance was the only time I ever got to use the theory I’d learned in my economics degree. The Police Band looked very smart in their sulus/lap laps with Bird of Paradise emblem. 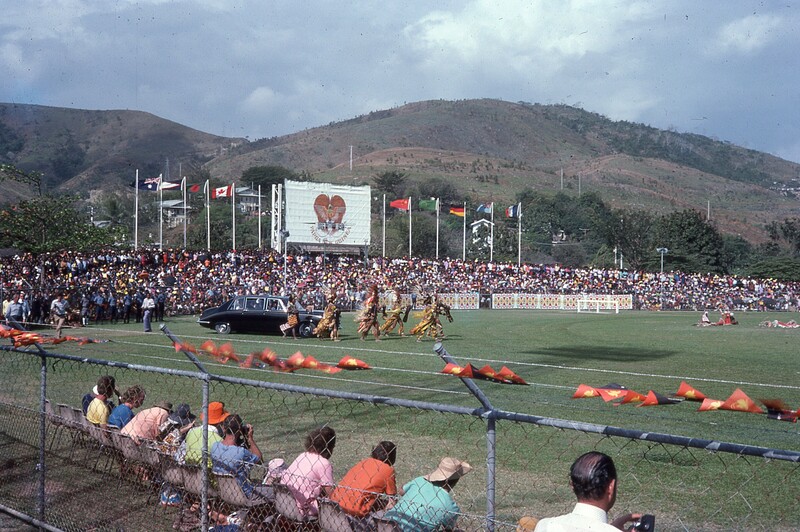 Independence Hill 16 September 1975. Many Australians did leave after either self-government or Independence. Some of the more colonial types couldn’t handle the relinquishing of power to those whom they’d once had power over. Others, like Peter’s father, left because their jobs were superseded or had been localised. Over the years between self-government and Independence one of the employment trends was the departure of these Australians and the increased reliance on recruitment from the United Kingdom, New Zealand and the Philippines. From the Prince to the Bishop and the warrior, everyone was in their finery. We were pleased to stay for another few years and in the end decided to relocate to Australia so we could re-start our careers there before time got away from us. 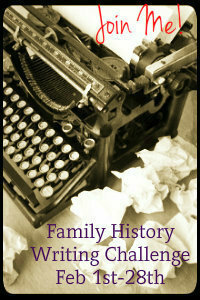 We were also determined our children would not go to boarding school. Although there were jobs for us in PNG and we loved being there, it was time to go despite our sadness. We had contemplated taking out citizenship but decided against it. Peter had already been challenged that he wasn’t a Papua New Guinean by some over-eager student, to which Peter simply replied “I’ve lived here longer than you’ve been alive”. And so the next stage of our lives began, back in our country of birth, but forever changed by our experiences in that amazing, challenging and exciting country, PNG. Michael Somare arrives at the Catholic Cathedral near Ela Beach for the church service. 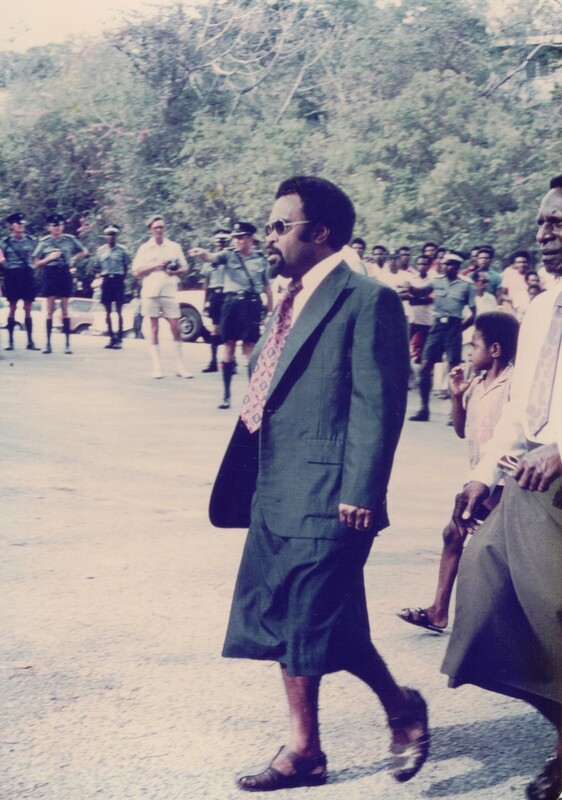 It’s appropriate that the collage photo I chose for today was one of Michael Somare walking towards the Catholic Cathedral near Ela Beach for an Independence service. 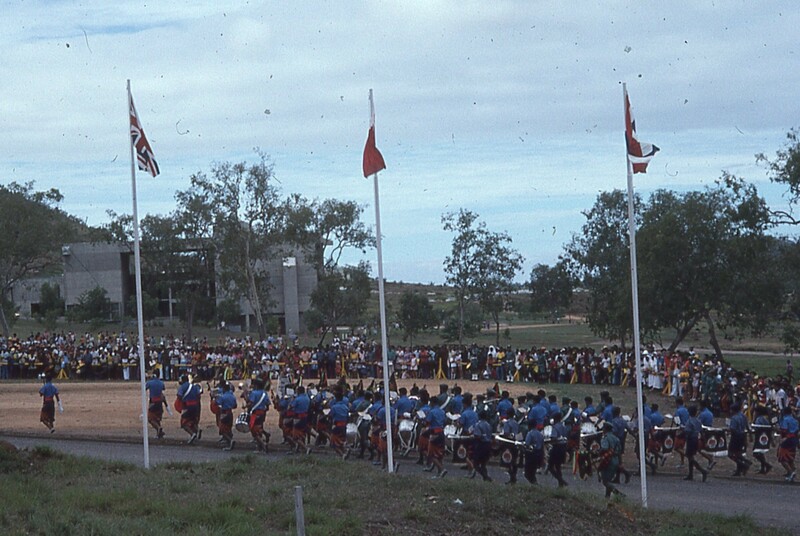 Lots of dignitaries were there from Prince Charles to Australia’s Prime Minister, Gough Whitlam and former Foreign Minister Andrew Peacock. Apart from being the inaugural Prime Minister Somare was one of a select group of men who were chosen to fill the most senior roles in the country. Among the public service heading departments were Mekere Morauta (Finance), Charles Lepani, Rabbie Namaliu and Tony Siagaru, the commonly named “Gang of Four”, two of whom we worked for either closely or indirectly. 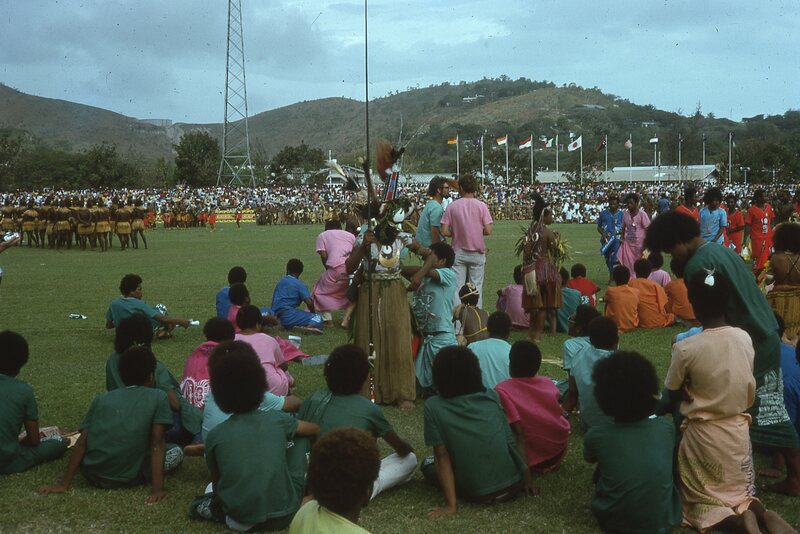 This entry was posted in Cass family history, Family History, Family History Writing Challenge, February Photo Collage Festival, Papua New Guinea and tagged family history writing challenge, February Photo Collage Festival, Independence, Papua New Guinea by cassmob. Bookmark the permalink. 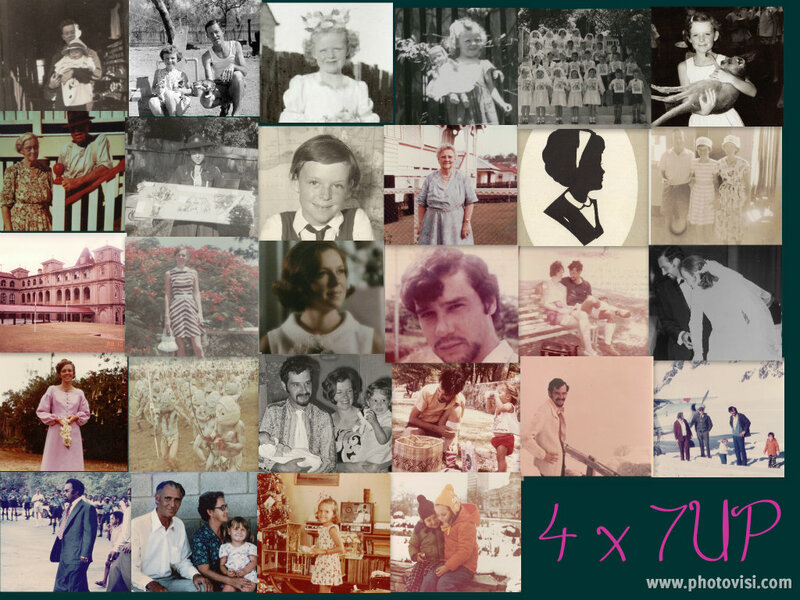 What an amazing experience Pauleen… thanks for sharing. Thanks Catherine, I’m glad you enjoyed it. PNG always seems so exotic to me. During my school years there were a couple of girls who were boarders from PNG or who had lived there when they were little. It’s rare to hear of people living there these days. I think that in years to come many more people will be wanting to do more research in that area. You’re right Alex, I think there’s much that could be researched,especially sociologically, in PNG. Once upon a time I knew where all the schools were with PNG students, as I used to pay their parents’ subsidies. 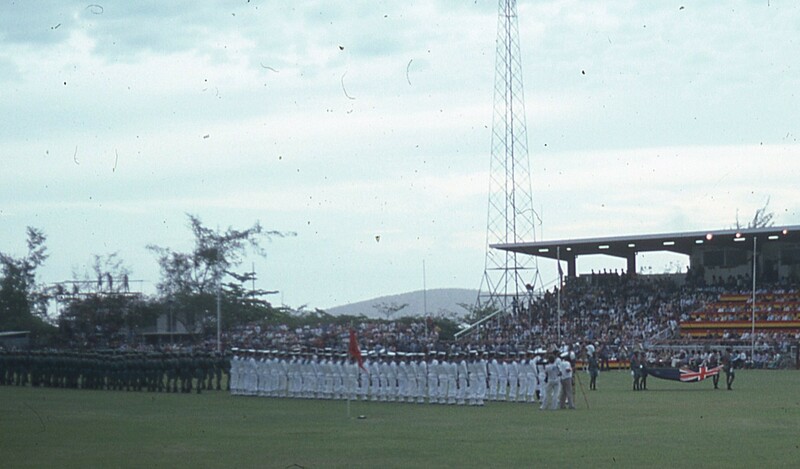 To see our first prime minister and the few pictures of the events in Port Moresby on that historical day (Sept 16th 1975) 39 years later is just an absolute treat. Your photograph collection especially of the PNG then is a real treasure. 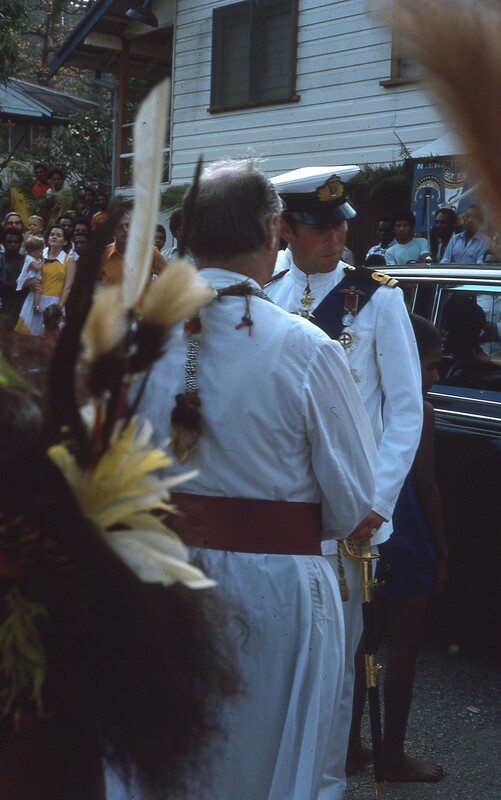 I liked especially your use of as I see, the bilum in front of the Buckingham Palace and your Milne Bay basket at Ela beach. Cool. 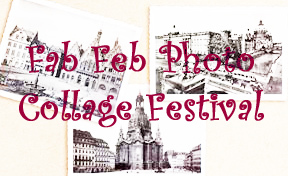 Thank you for sharing the pics and your memories of them. Great job! How lovely to hear from you Maureen. I’m so pleased you enjoyed the photos and the stories -it was such an important part of our lives and in my husband’s case he regards Milne Bay as “asples bilong em” for all that he was born in Australia. It was indeed a bilum that went for a treat to Buckingham Palace…and still hangs in our house. The Milne Bay basket is no more but we do have other Milne Bay items. Thanks for visiting.